When Jodie Meeks signed with the Wizards last season, there was reason for cautious optimism. Here was a guy, plagued by injury over the past two seasons but capable of scoring in bunches – something the Wizards hadn’t had from a reserve in years. And even if he didn’t turn into a microwave scorer off the bench, many thought he’d still serve as a suitable backup to Bradley Beal. 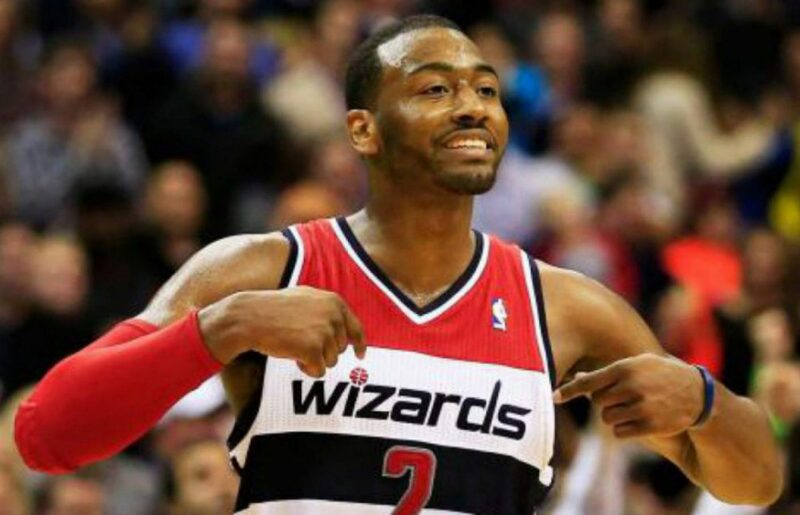 He started the season hot, scoring in double figures in four of the Wizards first six games. Even though the sample size was minuscule at the time, it looked like the Wizards might have found their man. But even during that start, there were warning signs. He averaged 10 points per game, but it came on a nothing-to-get-excited-about 33 percent shooting while knocking down only 36 percent of his three-point attempts. He overcame his poor shooting early in the season by getting to the free throw line at an unusually high rate. He averaged 3.3 attempts per game even though he averaged less than 20 minutes per contest. After his quick start in October, everything went downhill. His numbers dipped in nearly every statistical category and most didn’t recover for the rest of the season. He shot under 30 percent from 3-point range in December and January, not so great for someone the Wizards brought in to be a knockdown shooter. He averaged 4.9 and 3.7 points per game respectively over those two months and his shooting got so bad that he didn’t even get into several games, despite Washington’s lack of backcourt options. With his role in Washington diminishing and the trade deadline around the corner, Meeks and his camp sought a trade. Unsurprisingly, there were no suitors. A funny thing happened after it became clear he and the Wizards were stuck with each other for the rest of the season. His performance improved, and he put together his finest moment in a hotly contested game against the Celtics on national TV. He drilled a 3-pointer at the buzzer to force overtime, which helped the Wizards get a much-needed double-overtime win on the road. Just when it looked like Meeks’ season was leveling out, things went south again on April 13. The NBA announced Meeks would be suspended 25 games for using a banned substance, just two days before the start of the playoffs. He missed the Wizards’ entire run and will still have to sit out the first 19 games of next season due to the suspension. It’s hard to find much to be optimistic about when it comes to Meeks’ future. He’s coming off the worst season of his career and he turns 31 in August. On top of that, the Wizards drafted Troy Brown, a player who will likely cut into his playing time next season, even though he’s far less accomplished as a shooter. As you’d expect, he’s already picked up his player option for next season, which means the Wizards will be on the hook for the prorated portion his $3.4 million salary after his suspension. There’s always a chance the Wizards find a way to unload him before next season, but whoever takes him back will surely be sending someone back with their own issues the Wizards will need to sort through.